Non-slip cushion grip. 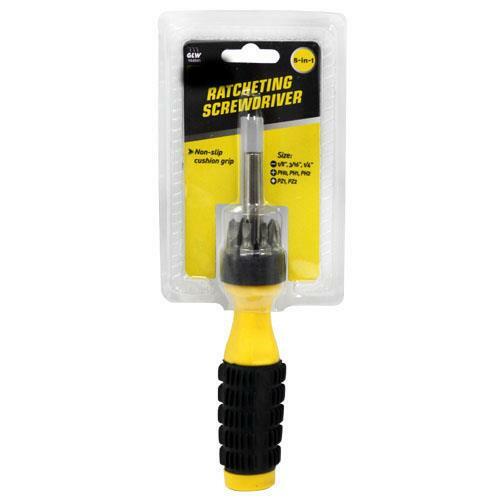 Non-ratcheting screwdriver has 8 sizes: 1/8", 3/16",1/4", PH0, PH1, PH2, PZ1, PZ2. 24/inner and 96/case. 11.02" x 19.69" x 10.24"